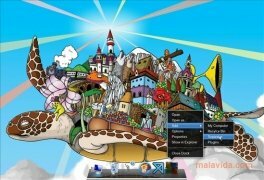 There are quite a few applications that try to simulate the Mac dock, and many of them don't manage it. 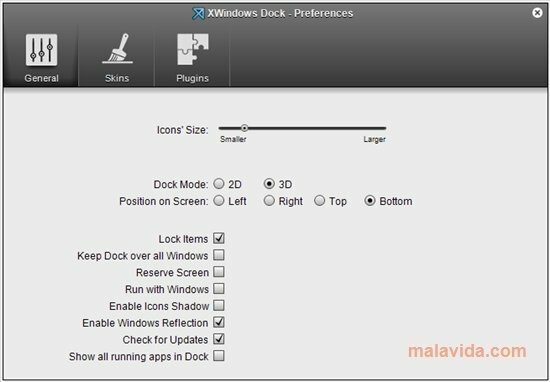 But up until now, the best Windows dock that we can get is the XWindows Dock. 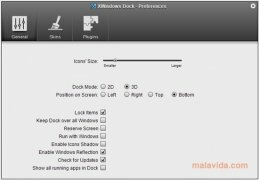 This program takes the popular dock designed by Apple to the desktop of your Windows operating system, maintaining its original elegance and without losing a shred of functionality. 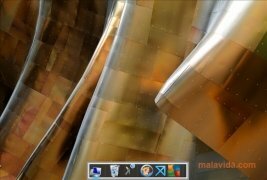 Thus, once installed, this application offers a bar of shortcuts to the most used programs and folders of our computer, depending on our preferences. To do so, it's only necessary to drag and drop the elements that we want on the aforementioned bar. To configure other options, all we have to do is press the right button of the mouse. Then, from the context menu we can add separators between the icons, eliminate certain accesses, modify the position on the screen, exchange the view mode between 2D and 3D and even install complements. Enjoy the most elegant shortcut bar on Windows, thanks to XWindows Dock.